Sharpull Terriers as the name hints are a cross between a Pit Bull Terrier and a Shar Pei. They are incredibly adorable mixed dogs with the good health of a Pit Bull packaged into a Shar Pei. They are so popular that they even a have a FaceBook group dedicated to them called “Sharpull Terrier“. Pit Bull dogs come in a variety of shades thus your Sharpull Terrier will have some uniqueness to them. 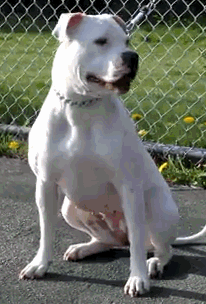 Just like the Pit Bull, Sharpull Terriers are strong willed and athletic. A Sharpull Terrier isn’t a recognized member of the American Kennel Club however they are a part of the International Designer Canine registry. It’s interesting to note that humans weren’t able to breed out a Sharpull Terrier’s stubbornness as both parents have a mind of their own. Here is a little bit information on the parents and then we will have a look at the incredible Sharpull Terrier mixed breed. You will know its a Shar Pei, when you see them with a wrinkly wool like outfit which is their skin. The Chinese Shar Pei like American Pit Bull Terriers make excellent family dogs. They can be wonderful watchdogs like Pit Bull Terriers however they are not meant for guarding purposes. They are protective of their owners and family but they can have a mind of their own sometimes. Shar Pei’s like to be independent but they are devoted at the same time. They have a lifespan of at least 10 years and can weigh up to 65 pounds. Did you know that the Shar Pei has a dark tongue which is desired by dog show enthusiasts? A dog breed that has endured a lot pain at the same time received a lot of attention from the media. The American Pit Bull Terrier is a wonderful dog breed that loves human companionship. I can’t sum up this awesome dog breed in just one paragraph which why I have written an article dedicated to Pit bull Breeds. Being an owner of a wonderful American Pit Bull Terrier myself, all I can say is you better have some energy to keep up with this breed. They are full of energy and will crave for their owner’s attention. They will also tear through most toys like its a piece of cake. If you get a pure-bred Pit Bull terrier, you will know why they where bred for game. The Sharpull Terrier will have characteristics of both the Shar Pei and the Pit Bull Terrier. You can say they are a cuter and a chubby version of the American Pit Bull Terrier. They can weigh up to at least 60 pounds and have a lifespan of 12 years. Just like Pit Bull Terrier’s, Sharpull Terrier’s love to bark therefore they may not be suitable for people living in apartments. However, with the right kind of training barking can be curbed. 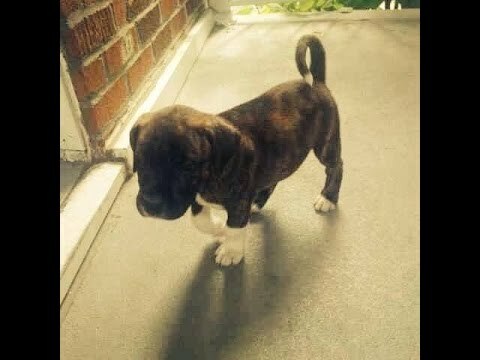 The Shar Pei Pit Bull mix can be stubborn and requires a strong handler. They are generally not recommended for first time dog owners. Similar to the Shar Pei and the Pit Bull Terrier, Sharpull Terrier’s do well with positive reinforcements while training. They required very less grooming as they have short fine hair like the Pit Bull. Unfortunately, they received some of the Shar Pei’s health concerns such as the inverted eyelid problem and ear infections. You should also thoroughly clean the folds of their wrinkly skin while bathing them. They will benefit from a rub down with coconut oil as it prevents flaky and dry skin. While obtaining your Sharpull Terrier puppy be sure to do so from a responsible breeder. I also highly encourage you to visit local shelters looking for Shar Pull terriers and puppies so that you can save a life in the process. 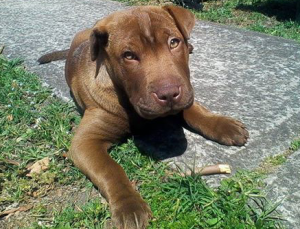 You can find a lot of support on caring for your Shar Pei Pit bull mix from the Face Book Group Sharpull Terrier. I hope this article gave you some insight into the Shar Pei Pit Bull mixed breed. Be sure join our own Face Book group @ Purebred & Mixed Dogs. Be sure to also post comments and feedback below. What color is your Sharpull Terrier’s tongue? I just adopted a Sharpull Terrier from the shelter. She is deaf. Make sure to watch out for deafness is Sharpull Terriers! Hi Shana, thanks for the information. I know that deafness is usually present in dogs that have white skin pigmentation? I am curious to know if your dog is all white? Lol! You are Welcome, Glad I could help. Be sure to give us a like! My Sharpull is now 3 yrs old. I adopted him around 7 months old. thinking he was a Labpit mix. I have owned a lot of different dogs including pit bulls and Rottweilers. But i have never owned a dog with such a strong will. be sure if this is the breed you go with; you most be very patient and consistent. These dogs are very smart with little to no fear. I can not speak for the breed but my dog needs attention! If he is not getting the attention he wants he is quick to be a bad. Unlike every pitbull I ever owned Sharpulls seem to be little less forgiving. I just recieved a shar-pei mix and by the photos on here i have a strong feeling he may be a Sharpull Terrier he is only 3 months and i need some help figuring out what mix breed i have. I never owned shar pei’s, but i have owned rotties, german sheperards, pit bulls, pugs, catahoulas. So any help be nice thanks. I have a beautiful 1 year-old Sharpull that is an absolute joy, but her shedding is wearing me out. I’ve been putting coconut oil in her food, but is that enough? Just wondering if anyone else has this problem with their Sharpull and how you’re dealing with it? Following this-I dust and sweep CONSTANTLY as the shedding with mine is insane. I thought my Rottweiler shed a lot. This Sharp Pull could shed an entire new dog every day. 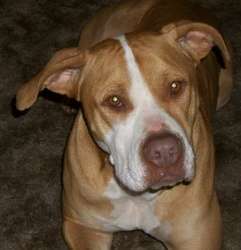 Hi, I live in Cocoa Beach FL and I used to have a sharpull pup name Sasha when I was younger. I have been searching online and I am having a very difficult time finding a puppy. I found some out of New York and that’s well and good but I feel guilty having to have them shipped in a plane. That being said I will and have no problem but I would prefer not to. Any chance anyone on here has and or knows where I can find a sweet female sharpull puppy ready for a loving home. Appreciate you reading please let me know. I have what I thought was a Sharpull, but the vet said she is also Dachshund! All she does is smell the ground when we walk, dig & eat mice or just about anything. I have to pull her with both hands as hard as I can to get her to get away from things or to go where I want. I rescued her from original owners who neglected & abused her, along with the whole druggie neighborhood including little kids. Now I know why. (No, I don’t abuse her, but I am running out of patience & constant pain doesn’t help.) I’ve tried to find her a home for 4 yrs. & no one wants her. My OLD body is almost crippled from all the walking, literally. If I don’t quit, it could be permanent. Any suggestions besides euthanasia? I can’t do that. Her former owners wil take her back, but she’d probably be dead there. Get you and your dog enrolled in an obedience class as soon as possible. This will help you learn how to handle her, and help her to see you as the pack leader. I had a male identical to the picture at the top with the triangle ears. Had lovely temperament. Is this a common Sharpull Terrier mix? I just acquired a 1 yr old Sharpull. He just turned 1 in November. The couple had him in an apartment and they have 3 little children so they determined he was too hyper so I met him “Brutus” and fell in love with him. All he needed was attention and dicipline. I’ve had him a month now and he is very well behaved, calm and follows direction well. When I take him out to use the bathroom my command is “concentrate” and he does his business and is ready to come back in. Wonderful new family member. 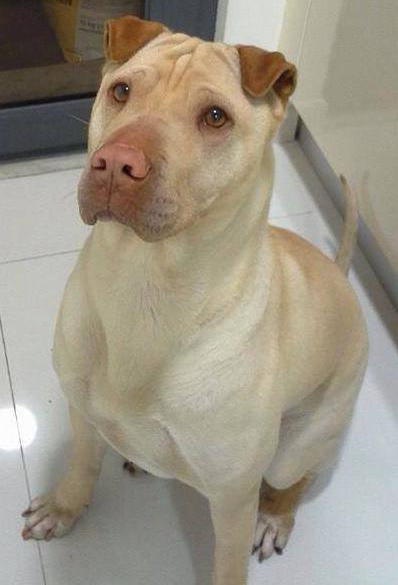 We are meeting a fostered Sharpull tomorrow afternoon. She is almost 2. I’ve had a very stubborn Catle dog before that turned out great but I’m wondering if I’m over my head with this breed. I’m strong willed and patient (with a soft heart) but would love some direction in interviewing her. Plus, we only have a 4′ fence, stupid I know, but HOA reality. Is it a no-brainer that she’ll jump it? We are told she is stubborn with some things but a true love and eager to learn. Oh, and that she hardly sheds….Lol! Hi Lesli, I think you will be fine. They are wonderful dogs, my friend has one. I dont think she will be as stubborn as the cattle dog. A 4 foot fence should be good to keep her in. You can always get a training collar to train her to stay within certain boundaries should you run into any trouble. Good luck with her and hope it all works out for you. Well… I fell in love with her and later found out she has a dog reaction issue…. And needs eyelid surgery. She is super sweet and we are working hard on simple stuff…. Not overly food motivated, grain sensitive, and a weird processing sequence. I’ll be learning a lot I think. My Sharpull turned 1 yr old in November and he is very well behaved, house broken, loves all families members including my grandson and very loyal and protective. We acquired him in November and he took to my commands very well. He does require a lot of attention as he loves his belly rubbed. I’ve owned many breeds including full blooded pits (which I love) and Brutus is definitely my favorite. He tries to talk to me when he has to go out and sounds off his growl of disagreement if he doesn’t like the command that was just given to him even though he does what’s asked. Thanks to both of you (IdleEye’D) for the encouragement. I would love to get her to talk to me when she needs to go outside.. right now I keep her pretty close and I will just notice her lingering by the door. We also have neighbor dogs that she could be eyeballing…. I have noticed her sighing when things don’t go quite her way or I’m not moving at the speed she’d like. Super cute. My main concern is her reaction to others dogs… I’m thinking because she was a stray that it may be defensive, but it appears offensive. I’ve switched harnesses to a front hitch, which seems to help. Might be getting one, people put it up for sale online locally as they are moving and can’t take it with them. I recently had a 14 month old pitmix named Winston who was absolutely wonderful. Also stubborn when he wasn’t paid enough attention, he was never aggressive but if things weren’t going right he’d just ignore you. Very expressive loving dog whom my grandmother forgot and left the door open. We live next to the highway here and he happened to go out into the road and ended up hit by a large truck. I’ve been half looking/thinking about getting another dog. I know I want another pit-mix. Best cuddlers. So, when this one came up and I saw pictures. Told her to go ahead and contact them. This one looks around 4-7 months old. I did research before on Boxer Bulls and it said 2 hours minimum exercise a day. I’ll probably search elsewhere as well but if any one has any knowledge of this particular mixed breeds needs other than brushing once a week and applying coconut oil body rub. That’d be great. Things I’d like to know, best diet/nutrition needs. [Do they need vitamin supplements? How much do they eat once they’re full grown? Exercise needs as far as time per day? I have recently went to using human grade dog food. I didn’t even know there was such a thing, lady at Petco felt real strong about it because she almost lost a dog due to a bad brand of dog food that ended up being recalled. I’ve heard about a leash that goes around the legs or something like that so it doesn’t pull on the neck so much. Could you link me to one? lol Oh, how much on average should I expect to spend a year on the dog not including something serious like a surgery or whatever. Thanks! I have a sharpull identical to puc at top all new owners beware sharpulls love to dig, I have a tall fence so sometimes instead of staying outside with them id let them out with food and water to play by herself and my other two dogs, well I quit doing that cuz last week after only being outside 8 minutes my neighbor pulls up with my sharpull. She is only nine months old and either dug a big hole fast or had been working on it secretly. There are cows across the road and she barks at them all the time so she probably dug out to go chase the cows luckily neighbor snatched her up for me. Great loving breed but they are diggers and my fence was reinforced on the ground level! If anyone is giving away a sharpull mix or selling it under $300, please contact me tamanasharifi25@gmail.com. You will be missed & I’m always thinking about you. I love you very much. My sharpull is the most beautiful dog. I couldn’t ask for a better companion. He is well mannered, slightly stubborn but very loving. A responsible breeder wouldn’t mix these two breeds and sell them to the general public. hi lisa, all dogs were created by mixing with another breed at one point in history. I love my shari pei half pit when we got him at age 4. Before we got him he was beating bait dog left on the roads. He is the sweets lovable dog protective over my grandbabys and my family. He is the best. My Shar Pull, Fern, was a force of nature, so beautiful, so intelligent and an example of the highest love, sacrifice for others. She gave her life for us against a mountain lion. Our love for you will never end; nor will the pain of your loss. Shar Pulls are simply the best, but they require strong pack leadership.